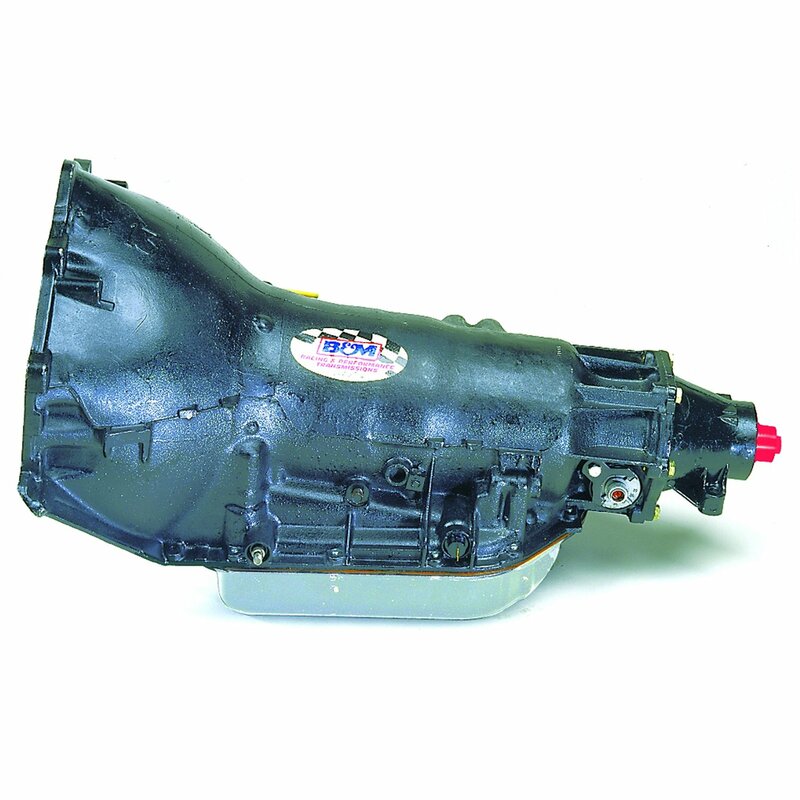 GM Turbo-Hydramatic 400 Street and Strip automatic transmission for use with large 1.875 spicer yoke for 2 wheel drive models. Has 4 inch tailshaft and 7 inch separation on top bellhousing bolts. Transmission shipped without speedometer driven gear or housing. GM TH-400 Street Strip automatic transmission (Chevrolet) with large diameter bushing for use with large diameter yoke (1-78 in. Spicer yoke part number 2-3-10431X) 600 HP maximum. Legendary B&M transmission for street use B&M's Street Strip transmission is a complete ready to run unit (less converter) for high performance street and mild strip use. The transmission provides firm shifts and features a standard shift pattern, these are the finest available for street and strip use. Includes a 2.48:1 first gear ratio, 1.48:1 second gear, rebuilt front pump utilizes B&M pressure regulator spring and shims, all new B&M high performance friction plates, new intermediate roller clutch, new kickdown band with welded anchors, machined center support with new case saver ring, all new thrust bearings and races, new adjustable modulator and silencer ring, new external electric connector and kickdown solenoid and a re-calibrated valve body. Max 600 HP / 550 Ft/Lbs. Max 600 HP / 550 Ft/Lbs.